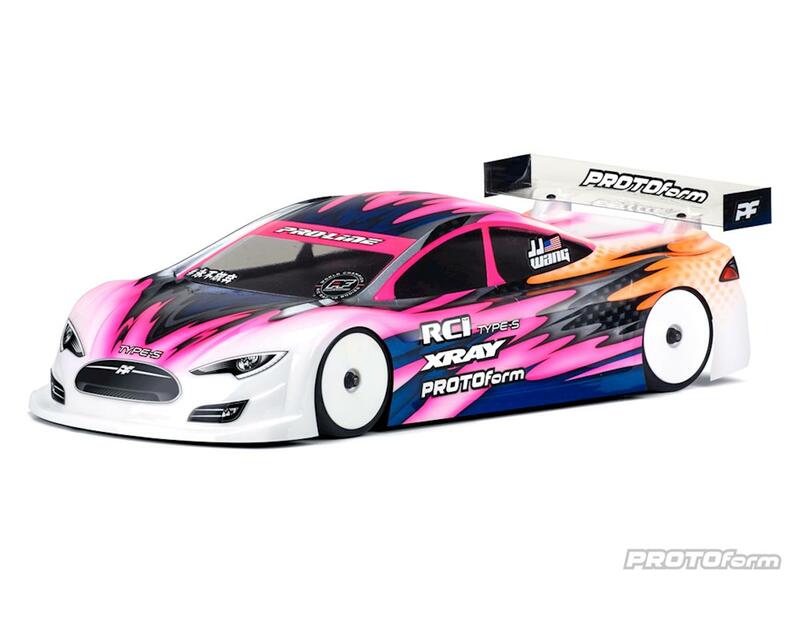 The Protoform Type-S PRO-Light Touring Car Body is a high downforce racing body for modified classes or any other track condition/class where more grip is needed. The Type-S is the ultimate aerodynamic solution. With ultra-precise steering characteristics and superior rear grip, the balance provided is unmatched by any other body on the 190mm electric touring car market. Extensively tested by a world-class team of drivers, it was proven there was no track surface the Type-S body couldn’t handle: ETS carpet, outdoor or indoor asphalt, even high-grip CRC black carpet. With PRO-Lite bodies now being the standard for indoor carpet racing, the overall stiffness of the body was taken into consideration. Added ridges along the hood, a-pillar and trunk bed provide rigidity even in thinner materials giving you less body tuck and less flex while not sacrificing performance. 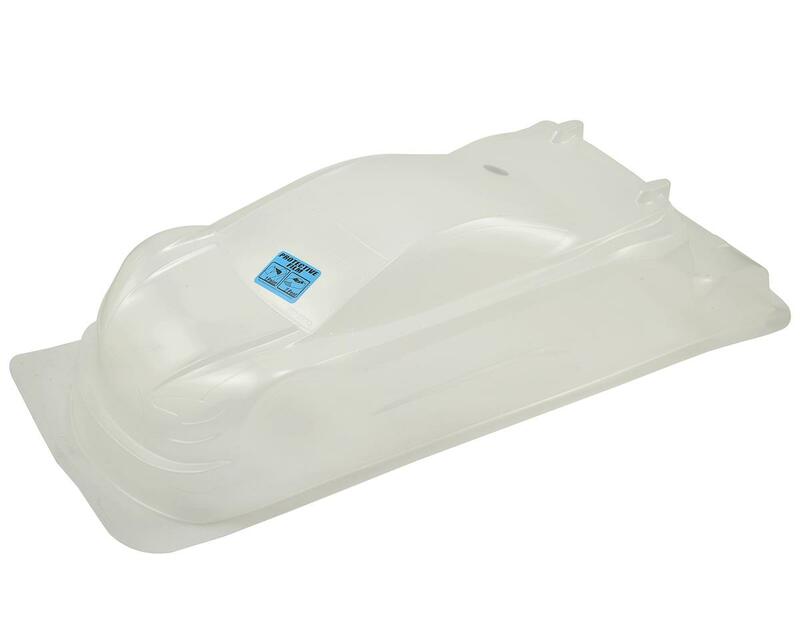 A small deck lid spoiler also adds both rigidity and rear grip. The critical tuning aid of body positioning is once again made easier with Mounting Marks inside the front wheel arches. Positions for 0, +2mm, +4mm and +6mm are scribed in for your convenience. The Type-S is Global Body Spec compliant and fully EFRA (#4056) & ROAR approved. 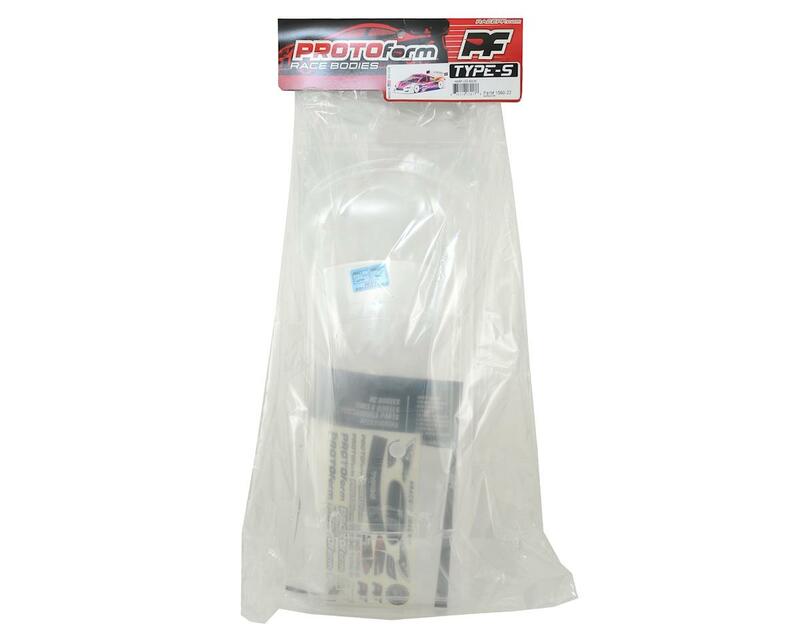 Made in the USA from high-quality, super-durable polycarbonate, it is available in both lightweight and PRO-lite weight. Included are a PROTOform decal sheet, window masks, overspray film and metric wing mounting hardware. NOTE: Painted body shown in photos is for illustrative purposes only and is not included. The body you will receive is clear and unpainted.